Mr. E & I didn't meet on New Year's Eve, but I like to say that's when we fell in love. His roommate had been dating one of my best friends for a while. So, we knew each other, but never given one another much thought. At a New Year's Eve party, while my girlfriend Laura was running around finding her cousin to introduce to Mr. E and some guy to introduce to me....we ended up talking. We never did meet that cousin or that guy we were supposed to have been set up with. So, New Year's Eve has a special place in my heart....even though we won't be going out, we'll be sipping champagne at home (well, he'll be sipping a beer), watching the ball drop in Times Square on TV. Oh, Bridget... These are absolutely adorable! We always stay in for New Years Eve, and I love it that way. 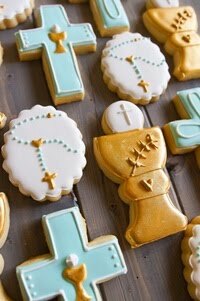 I just wish I had a few of these cookies to nibble on (and admire)! Very very very cute idea. But, we've come to expect nothing less, my friend. soooooo kuh-YOOT!! my grandparents got married on New Year's Eve while they were at a dance; left the dance, got married then returned to the dance - so fun! Love your NYE story, Bridget! Cute COOKIES... Happy New Year to you and your family! I love these! And they do look delicious. Cute, cute with the clock. You are amazing :) Thanks for sharing your Mr. E story. 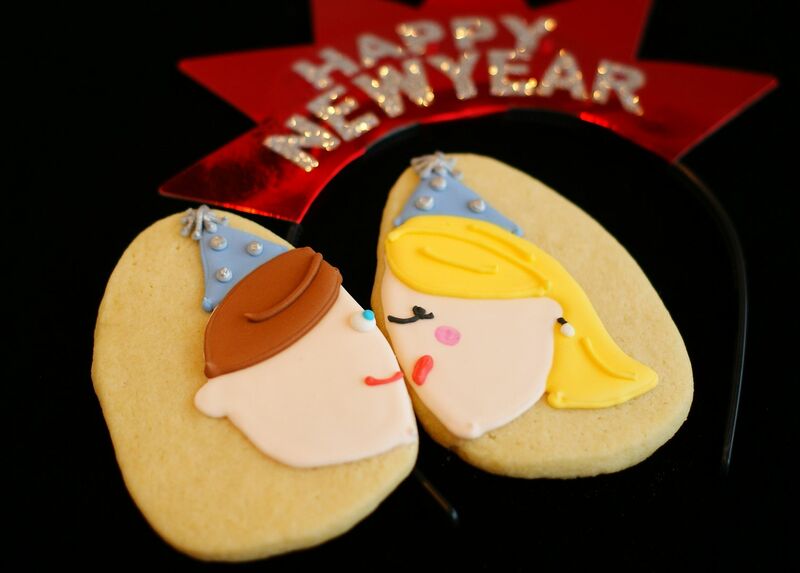 These are the most adorable NYE cookies EVER!! These are easily the cutest cookies I've ever seen. Happy 2011! Happy New Year! 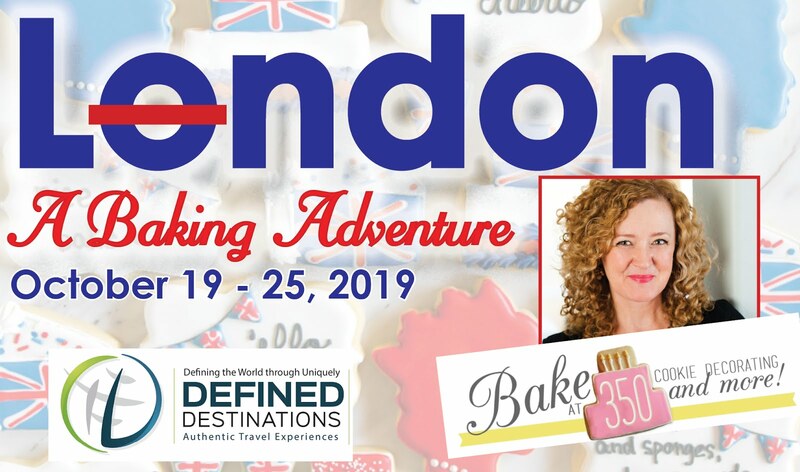 Great story and adorable cookies! Aww, those are adorable! I wish I would've seen these sooner and I might've stolen them for my own set of cookies for the night. Happy New Year! Great job... these are so creative and original!!! You rock girl! 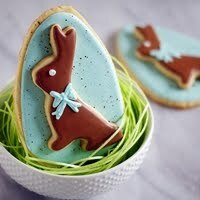 I am always amazed by your super cute cookies!! I love them! Happy New Year! What a wonderful, sweet story. I wish you both (and kiddo) the happiest of new years. 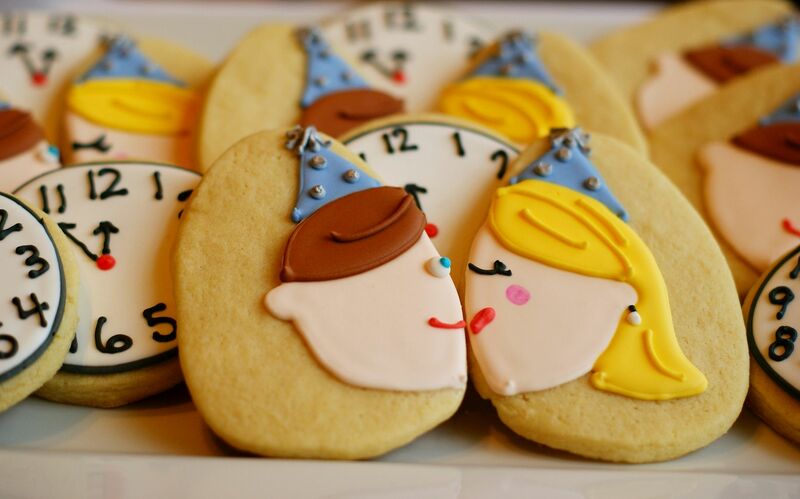 How sweet, these cookies are perfect for NYE! Happy New Year! These are freaking awesome. Happy New Year..
wow - these are so fabulous! always love your cookies! hope you had a great NYE!?! I look forward to another year of reading and enjoying and trying your recipes. Happy New Year! What a great love and cookie story!! Happy new Year Sweet Bridget :) !! Oh Bridget , this is super cute ,so muc romance,and loveee fills the air!! 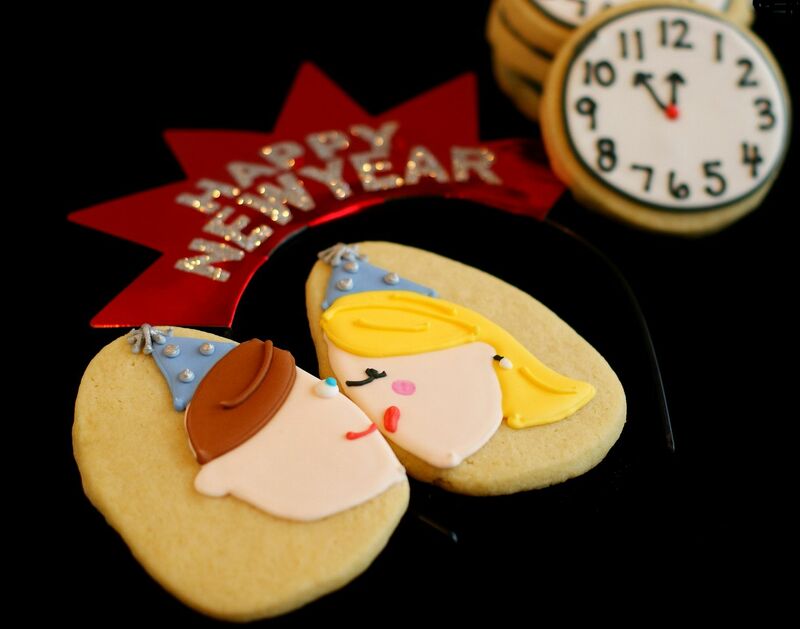 Happy new year to u with lodsa and lodsa loveeee with huggies for the cutest cookie maker,with super cute cookies galore! Those cookies are adorable! Love always happens when you least expect it...I was ready to write my BF off at first, but his sense of humour just wouldn't let me...over 2 years later and I'm so glad I didn't brush him off. Congratulations! and Happy New Year to you both! 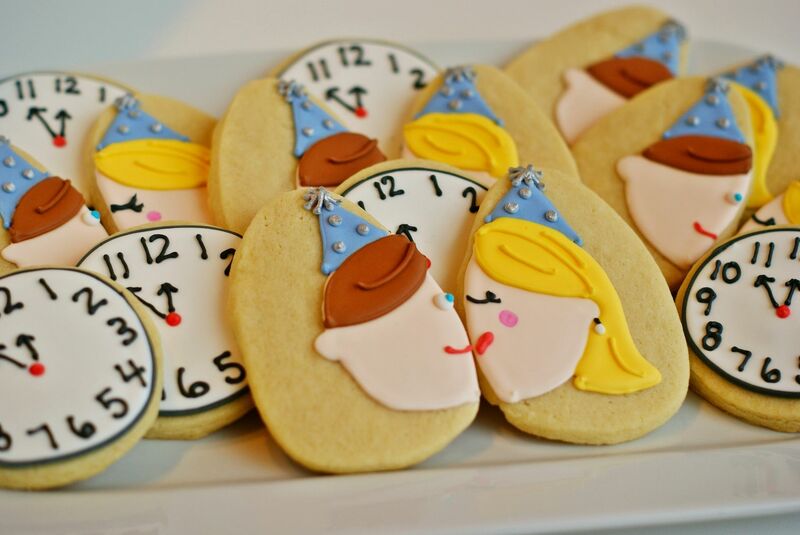 Such a cute story:-) Those cookies are adorable and the perfect representation of your relationship start! That is such a sweet story (and such cute cookies)! These are awesome. Happy New Year!! These are ADORABLE, Bridget! Very original, and I love your story too:) Happy New Year to you, Mr. E and Kiddo! Amazing...you always out do yourself! 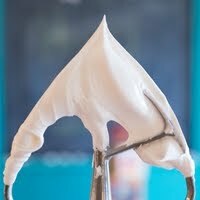 You have inspired me so much this past year to get back in the kitchen and do what I love to do...bake! Thank you for always sharing the how-to's for us newbies! adorable cookies and a sweet stary! great way to kick off the new year! An adorably creative way to end the year Bridget! 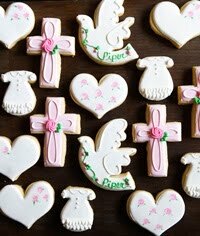 Love the cookies and love the story of how you and Mr. E became a couple. Happy New Year to your entire family. Happy New Year. I love the story of how people get together. I sat behind my husband for one year at church before we met! Cute idea. These are so freakin' cute!! You never cease to amaze me! You are my cookie mentor!! 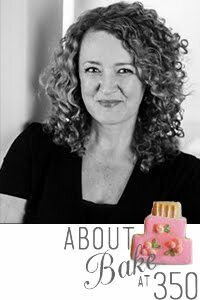 I agree with Morgan - it's been so fun to see your beautiful baked goodies in 2010. Looking forward to more in 2011. 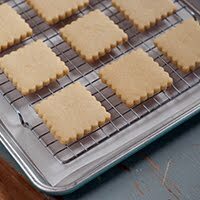 Oh, and these cookies are just so sweet! Alls I can say is You are amazing! 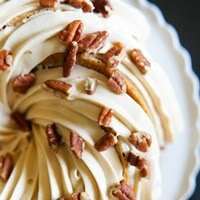 I have enjoyed viewing all your wonderful cookies and reading your blog this past year. I am so happy I found you. Happy New Year from Sunny San Diego! BRIDGET, I'D LIKE TO WISH YOU A FANTASTIC 2011!!! LOTS OF LOVE HAPPINESS HEALTH AND PROSPERITY! THANK YOU FOR YOUR HELP AND GUIDANCE THROUGHOUT 2010. 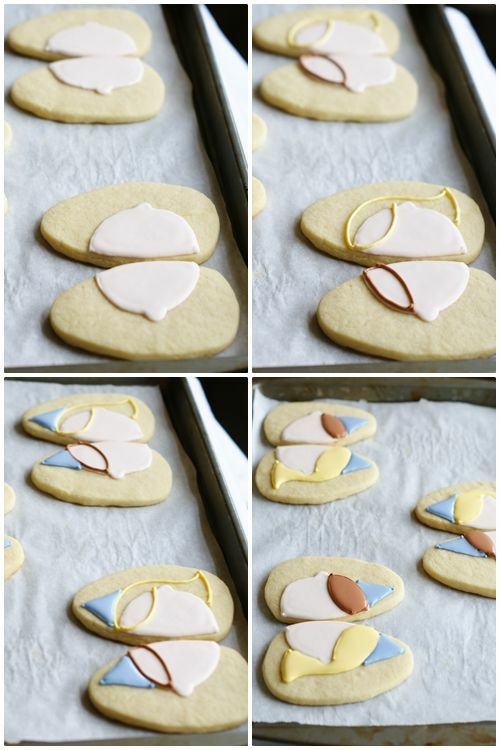 Perfectly adorable cookies. Love them. I met my husband on New Year's day. So it's been a dual celebration since. ohhh....now I have to go kiss my sweetie! Okay, Bridget, these just might be my favorite!!! What a sweet story about you and your hubby!! I LOVE it!! I can't wait to see what creative ideas you have in that brilliant mind of your's for 2011!! These cookies are to cute to eat! What a great idea for a party, well done! wishing you a wonderful 2011 & looking forward to all your posts in the new year! happy, joy filled new year! SO stinkin cute! Happy New Year! Very sweet - and sweet! Happy New Year! These cookies are adorable. Those are the cutest cookies!! So so so clever! I love these! You are so amazingly talented. I really can't even fathom making something this adorable! Happy New Year! These are so lovely! I love the designs and the faces! So creative. Absolutely the cutest ever. Can't wait to meet you in '11! They are adorable. your handiwork is amazing. Oh my gosh, those are so adorable. Love them, my friend!! What a cute story! Many people say they love New Year's but this is SUCH a great reason. Darling! You are so creative. I need to make a Rose Gold beaded border. Will it work well if I make a beaded borrder in a darker shade of pink and paint gold luster dust on the pink?